I guess we'll never know, because neither are used here! I really can't say enough about this sandwich. I am in love. This sandwich actually reminds me a lot of a chicken salad or egg salad sandwich, but without the chicken or the egg. It has the same general idea and texture though. While there isn't any meat in sight, this sandwich packs a whopping 14 grams of protein and loads of healthy fats. Plus, there is almost half of your daily fiber is packed into this one sandwich. Of course, if you're planning to take this to lunch, you will probably want to leave the avocado mixture off until the last minute so that it doesn't turn color. I haven't experimented with it too much though as a make-ahead, so I can't say for sure either way! I used the juice of entire lime in my avocado, and found that it was just a little too tangy. I think next time I'll be much more satisfied with just using half. If you're looking for something with a little spice, try adding some hot sauce (such as Valentina) to the chickpea spread. Beat the chickpeas, spreadable cheese, green onion and cilantro together in a medium bowl until the garbanzo beans are fairly smashed. 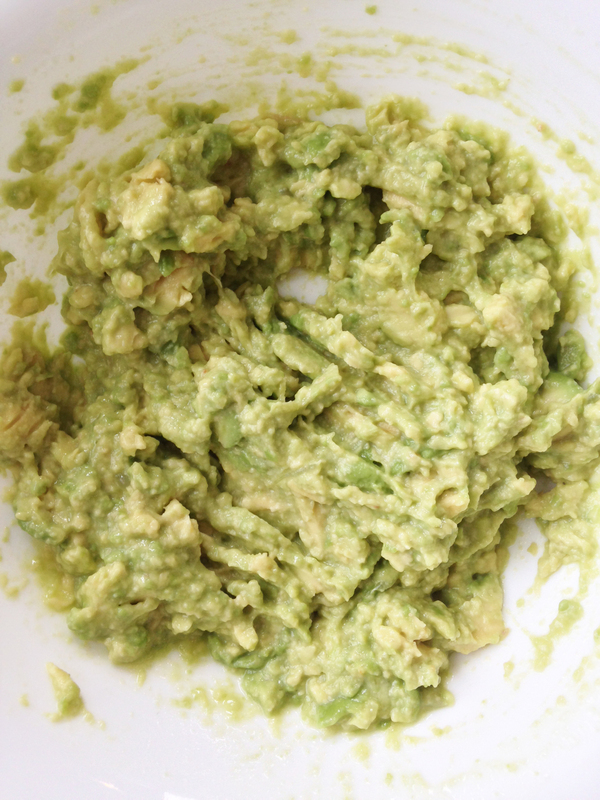 In a small separate bowl, mash together the avocado and lime juice. Divide the mixtures evenly among the sandwiches and spread the chickpeas over one slice of bread and the avocado over the other. Top one side of each of the sandwiches with about 1/4 c. of the baby spinach leaves. Put the sandwich together and slice accordingly to enjoy!